HOUSTON -- Want to early vote? 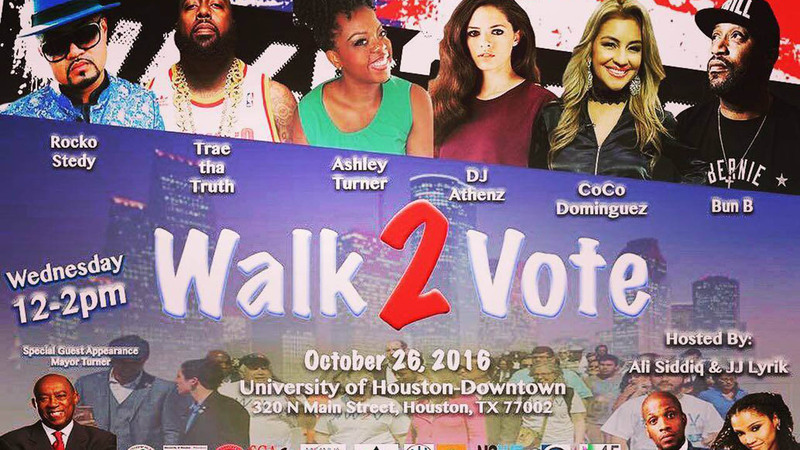 Why not join the "Walk 2 Vote" movement. The civic engagement initiative will walk people to vote today, in response to student voter turn-out at an all-time low. Starting at noon at the University of Houston- Downtown at 320 North Main, they will walk to the Harris County Tax Office at 1001 Preston in Downtown Houston. "Walk 2 Vote" is a nonpartisan group created, organized and led by students. UHD students began the event back in 2012 and have continued it annually. ABC13 and Univision 45 are local community partners in this event.